Located in the Downtown Park Hills Business District at the Corner of Main Street and Business 32/ Science Street. New Era Bank opened for business in the building formerly occupied by the Bank of Fredericktown at East Main Street and South Mine La Motte Avenue. The Democrat-News reported on July 12, 1934, ''The opening of the bank is expected to inaugurate a considerable stimulus to business.'' At opening, New Era Bank reported assets of $412, 325. The Growth - In 1959 New Era Bank President L.D. Whitener and the Board of Directors hired local hatchery and feed business owner, Robert (Bob) E. Green, to work at the bank. Bob quickly took on more responsibility as he became a member of the Board of Directors, and was later appointed President upon the passing of Mr. Whitener in 1966. Over the years, the name Bob Green became synonymous with New Era Bank. Bob's constant effort to see that the Bank provide top quality personal service to its customers distinguished his leadership. Bob remained affiliated with New Era Bank until his death in 1996. In 1983, Bob's son Steve joined the New Era Bank as Executive Vice President and six years later became the bank's third President. Under Steve's leadership, the Bank expanded its operations North to Farmington when it purchased the St. Francois County Savings and Loan in January 1996. 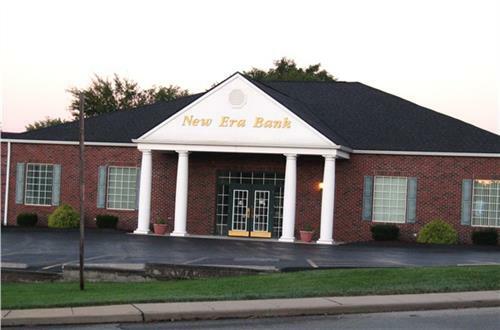 Four years later, in 2000, New Era Bank became a part of the Park Hills community with its acquisition of Heartland Bank. Today - New Era Bank continues today under Steve's leadership, as he is now Chairman & CEO. Mike Burcham of the Park Hills area became New Era Bank's fourth President in 2004. Our top priority remains providing unsurpassed personal service.